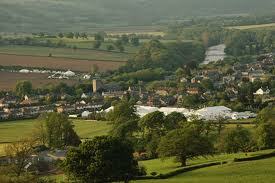 The 25th Hay festival, which closed on Sunday, was in looking-ahead mood. A string of sessions under the heading “The way we live now” asked questions of personalities about life today, and where we would be in 25 years time. We attended debate number 6 (event 486). That dilemma really deserved an entire session, but the panel did their best, most assuming that such an appalling outcome was assured, and the question itself didn’t have to be tested. Only mathematician and scientist Marcus du Sautoy suggested it wasn’t too late, and science and technology did have answers. I hope the views of the panel, and the audience, were recorded so we can look at them in 25 years time. One thing I think we can be sure about is that this amazing festival of literature, music, culture, design, thought and bright ideas will continue until 2037. And that there will be very many changes by then, many of them unseen by these 25th anniversary sessions. We are very recent converts to Hay, and I find it hard to explain why we didn’t come many years earlier. I thought it sufficient to read about events that feature Bill Clinton, royalty, popstars and almost every significant author or personality (and many not so well known) with a book out. Perhaps I thought of it as a little bit of self- indulgence for the Radio 4 audience with time on its hands, missing the point that anybody interested in books or ideas, or politics could sit and listen for an hour to some of the most stimulating people not just in Britain, but in the world, and be able to ask questions of them, provided you shot your hand up fast enough. Even if you took every other hour off, in the course of the day you could sit through six or seven hours of the most intense and stimulating and interesting presentation and discussion, chosen from a concentration of events unique in Britain, and possibly the world. Take a typical afternoon. We went straight from Claire Tomlin, who has written one of the great biographies of Dickens, via Antony Beevor, who managed to sum up the entire Second World War more cogently than anybody else in 50 minutes, to one of the greatest authorities on world music, Andy Kershaw. We saw Bryn Terfel, who is one of the top 10 baritones in the world; and Louis de Bernières, this time speaking as an opera libretto writer. We joined the debate on whether the Athenians are better than the Spartans, and in a session that reduced most of us to tears, sat in awe to hear two of the greatest women war correspondents of our time, Alex Crawford and Janine di Giovanni, speak of their late colleague Marie Colvin. I recall randomly memorable sessions such as Simon Sharma talking to Martin Scorsese’s editor and the wife of Michael Powell, Thelma Schoonmaker. And great Welsh rugby player Gerald Davies, in a 9am Sunday morning slot. We bumped into the admirable Clare Balding, one of the most engaging BBC presenters, and brushed sleeves with ex-Chancellor Alistair Darling. Hay leaves me stimulated, energised, full of impossible plans to be the person sitting at the table in the book tent as a long line of fans approach, clutching my book for a signatuture. So where will we be when the festival is 50? Will just as many fine books be read? Will the conventional book itself still exist? I guess so, if only for Hay. Because how does an author sign an e-book? The food here will still be expensive, the coffee still hit and miss (actually, a glass of wine at about £4 for 175 cL is as good a bargain as any). There will be technology that lets you instantly know how many seats are still left in which tent for which event, and how many seconds you have to get there. Will the tills take credit cards? Will those benign, encircling hills still be green and wooded? Will there be things we haven’t even thought of? They certainly have been since 1987: the Internet (then scarcely imagined), the smart phone (and lightweight tablet computer) and social media to name just three. Some things could happen very quickly. Who’d have thought just a few years ago that the plastic bag would be virtually eliminated here (Hay is just inside Wales, which imposed in charge for plastic bags in 2011, leading to an 80% reduction in their use)? I wrote an over-earnest piece last year wondering whether it was possible to get from London to the festival in an electric car. I still didn’t see any electric cars (EVs) (although some were on show earlier) but have no concerns on that score now. This year, with careful planning, it was possible to drive from London to Hay, hopping between quick charging points. I’m sure the Wye Meadows campsite, where we stayed, will have electric car charging points well within 10 years, and festivalgoers setting off home will be spared the 30 minutes detour we had to make to find petrol. Transport is still the rampaging elephant on the festival site, and in 2037 a significant amount of it is still likely to be carbon (Co2) based. On the day of the gale, June 8th, the entire event almost collapsed under the pressure of the traffic it attracted, made worse by the diabolical weather as grassy areas were closed to cars. Visitors parked on any roadside they could find, only to find their cars towed away. Hay is unlikely to be reconnected to the rail network – the nearest station is Hereford, 15 miles away. I suspect that many if not most of the personalities come not by public transport but by conventional internal combustion driven car. There cannot be a small town in Britain that could benefit more if its lost railway (it closed in 1961, so don’t blame Dr Beeching) was restored. Here’s to next year, rather than 2037, and more good ideas. Somebody may already have found find a way of signing ebooks. But will we even have edged towards a happy outcome for that question in event 486, about those 100 million climate change refugees? And will there be many more wild nights like June 8th?